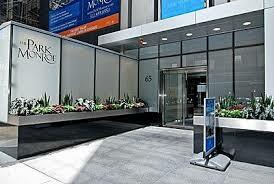 Welcome to your best 65 E Monroe Chicago Loop real estate resource. Park Monroe is a condo building located in Chicago, Illinois that offers a wide range of amenities to fit any lifestyle. See today's 65 E Monroe condos for sale & 65 E Monroe real estate property listings below. Browse our Chicago condos, lofts, Chicago penthouses and Chicago highrise condos for sale by location, size or price and let this website be your regional real estate guide. We would love to be your Chicago real estate agents and assist in the condo buying process. For information about 65 E Monroe condos for sale or to schedule a private showing, contact your Chicago Loop real estate agents today. Read more about 65 E Monroe real estate. Gearing up to buy or sell a condo at 65 E Monroe soon? Call Guarnero Group Compass at 312-810-6693. Your neighborhood 65 E Monroe realty team is here to help navigate the Chicago Loop real estate market. The Park Monroe, located at 65 E Monroe in Chicago's Loop neighborhood, is a sleek and impressive high-rise constructed of black glass and with an international flare. 65 E Monroe condos for sale in Chicago are found on the uppermost floors (42-49) of the prominent office building located at 55 E Monroe which overlooks Millennium Park. Renovated in 2001, 55 E Monroe underwent quite the transformation with the addition of the luxurious Park Monroe on its upper floors. A private residential entrance a few steps off Michigan Avenue at 65 E Monroe ushers residents into a handsomely appointed lobby with intimate lighting. These stunning condominium residences are more than just shelter, they are a lifestyle choice. Exploding with ultra-luxury features and a complement of indulgent amenities, condos at Park Monroe present residents with a lifestyle of elegance and ease, transforming the way homeowners view urban living. Designer finishes and distinctive touches run throughout individual condos, presenting living spaces that are characterized by sophisticated comfort. In all, Park Monroe residential condominiums provide discerning homebuyers with incomparable cosmopolitan living. Perched in the sky, condominiums at Park Monroe are amongst the city's finest. Rich hardwood floors and 10' ceilings run throughout the condos. Floor-to-ceiling windows boast breathtaking panoramic views of Chicago's impressive skyline, as well as the lake, park and always-entertaining sky. In addition to affording views in every direction, these views are landmark protected. So, the ability to admire the soothing blue of Lake Michigan, sparkling city lights and manicured gardens of Grant and Millennium parks is one which is guaranteed. Other special in-unit features include kitchens that feature European cabinetry with stainless steel appliances and granite countertops, large designer baths, a fireplace, washer and dryer and an expansive private terrace. The Park Monroe has taken every measure to ensure that residents' experience here is, at once, luxurious and comfortable. The sense of privilege is one which begins upon stepping foot in the elegant lobby and which continues to the penthouse location of The Park Monroe Club. Residents enjoy exclusive access to this private enclave where they can take advantage of its state-of-the-art fitness center, indoor swimming pool and whirlpool spa and gorgeous sundeck with top-of-the-line grills. The Club also provides a big-screen DVD theater, as well as an entertainment suite with catering kitchen. Perhaps best of all, the Club showcases an expansive and highly-manicured rooftop garden from where one can soak in the stunning lakefront vistas. As if Park Monroe couldn't get any better, it does. Its location is superb for a number of reasons. For one, residents couldn't have easier access to two of Chicago's most prized parks: Grant and Millennium. Filled with beautiful gardens and an endless list of summer concerts, events and festivals, these parks provide constant entertainment. Lake Michigan and its miles of jogging and biking paths is a five-minute walk away. Chicago's Museum Campus is also just steps from Park Monroe. So, too is Michigan Avenue and its many world-class boutiques and department stores. Lastly, but certainly not least, Park Monroe is a true walk-to-work building, so residents don't face the hassles of morning and evening commutes. Preparing for the purchase or sale of a condo in 65 E Monroe? Let our local Chicago Loop real estate agents work with you to navigate the purchase of or expertly negotiate the sale of your Park Monroe condo. Our expert knowledge will give you access to up-to-date information about the unique market dynamics of the Chicago IL real estate market. We're ready to help you today! Contact Guarnero Group Compass to learn more about buyer and seller representation for 65 E Monroe homes. Visit our comparative market analysis page to receive a free property evaluation in Park Monroe within minutes.